This week was a little strange again in terms of me actually seeing students. We had another snow day in my district, and then my own kids had an additional snow day in the district where I live. There are definitely problems when you work in a different district than where you live! Anyway, I was able to try out a great book companion this week with some of my students. 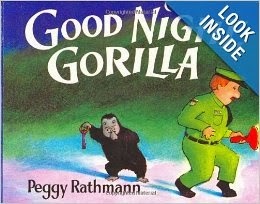 The book is Good Night Gorilla by Peggy Rathmann. 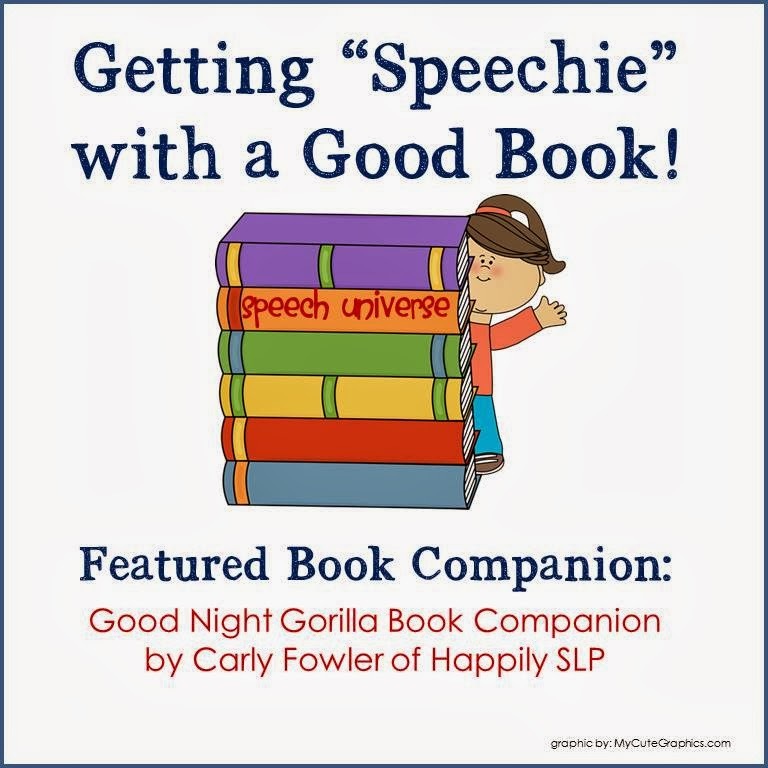 The book companion that I used with this cute book was Good Night Gorilla Book Companion by Carly Fowler of Happily SLP. Vocabulary Cards- These were great to help students use the vocabulary to describe pictures in the story. You could also print two copies of these cards and have a cute memory game! Matching Color Keys Activity- This activity will be great for some of my students who are learning color words. Sequence Board and Cards- There are two different ways to use this board. You can use it for just words, or just pictures. This is a really cute way to sequence the order that the gorilla lets everyone out of the zoo! I used it while we were looking at the book to help the students describe what they were seeing. Balloon Prepositions- I am always looking for more preposition activities. These are some great cards that describe where balloons are using a variety of prepositions. Animal Attribute Posters- These are great for students to fill in and color, as well as to use lots of great describing words! Parent Letters and Homework There are two letters to send home. One is for articulation and one is for language skills. There are also two different homework sheets. Animal Baby Match-Up- This is a cute activity that has the students match an adult animal to the baby animal. Great for vocabulary too! Student Mini Book to color- This is a mini book that students can put together and color. Each character is cut out and then glued onto the page. Student Story Worksheet- There is a page that has a place for your student to draw a picture and write a story about the zoo. This was a fun packet to use! The book is great for your younger students, but I could also see using it for older students at times to work on describing and story grammar elements. You can get this book companion HERE. You can find Happily SLP on Facebook and on TpT. Stop by her Facebook page and say hi! WOW ! Lots of great IDEAS!! !